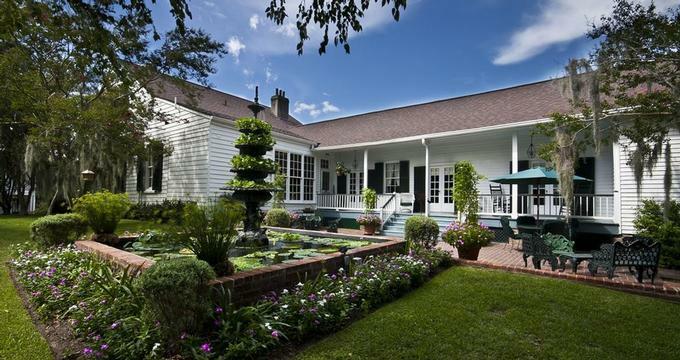 Plan a romantic spring weekend getaway from Jackson, Mississippi, and check into one of these beautiful inns, cottages and B&Bs to rejuvenate and see the sights. 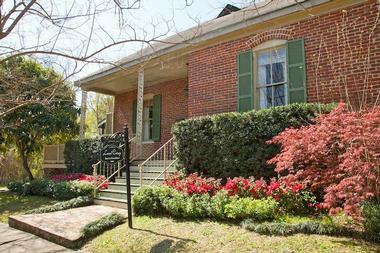 Head to Natchez where you will get to choose from historic mansion, cozy cottages and inviting B&Bs. Or spend a few days in Oxford where you can visit the University of Mississippi Museum, Rowan Oak and other unique attractions. 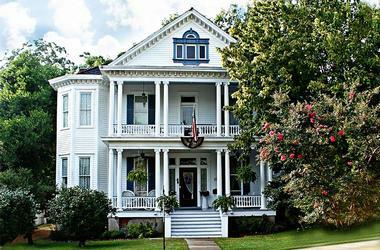 Historic Oak Hill is a beautiful place to stay if you are planning a road trip in Mississippi. 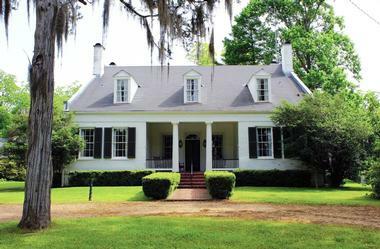 Historic Oak Hill is a classic antebellum mansion, featuring three guest rooms furnished with stunning period antiques. 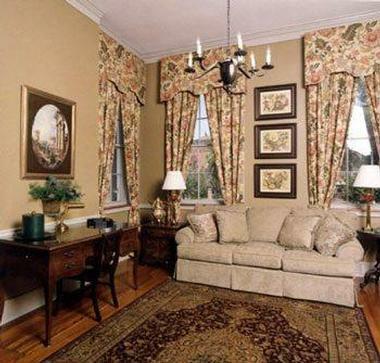 Oak Hill prides itself on comfort, charm, and Southern hospitality. Guests are greeted with homemade cookies and mint juleps upon arrival, and are treated to a delicious Southern breakfast every morning. Take a tour of historic Natchez or stay and relax with a cup of coffee on the porch. 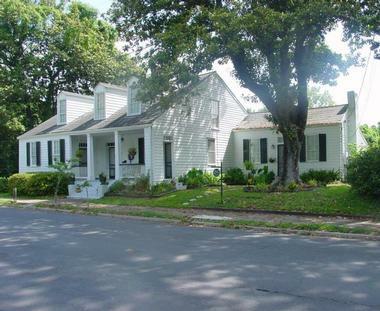 Marcia’s Cottages is made up of four historic homes and two new Victorian reproduction houses. All are furnished with antiques and include amenities such as full kitchens, private baths, fireplaces, and front porches complete with swings. Guests can book the one-bedroom Marcia’s Cottage for a romantic getaway or book one of the larger multi-bedroom houses and bring the whole family. Marcia’s also offers elopement plans and wedding or reception hosting specials. 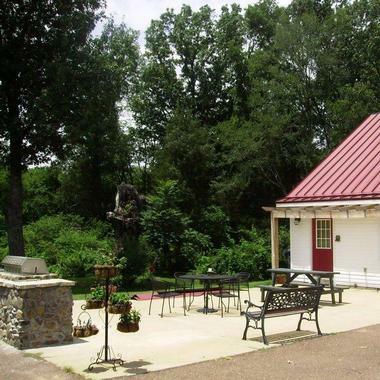 All cottages are located just a few blocks from the Mississippi River and are close to the homes, shopping, and restaurants of historic Natchez. Southern history is all around at the Glenfield Plantation. Parts of the main house date back to 1812, and the Field family has owned the land for over 130 years. The pre-Civil War Antebellum dwelling is furnished with antiques, and the décor reflects the period in which it was built. All guests are treated to a full Southern breakfast each morning and a complimentary tour of the property’s 150 acres. There is also a bus tour of historic Natchez that brings tourists to the plantation for history, reenactments, and a multi-course meal. More vacation ideas: Chicago, Tucson, Tulsa, Savannah, Southwest vacations, Sacramento and Orlando. The Bisland House is a historic Colonial Revival Home located within walking distance of Main Street in beautiful Natchez, Mississippi. The home includes three guest rooms with private baths decorated in turn-of-the-century style. Guests can enjoy a hot breakfast each morning and complimentary tea and coffee throughout the day. The Bisland House is motorcycle friendly and includes covered off-street parking for motorcycles. 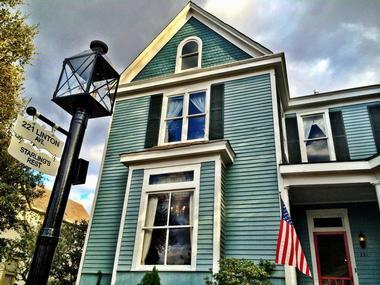 The staff loves to assist guests with activity and dinner recommendations, and the bed and breakfast has partnered with local guides to offer boat, hunting, fishing, and ghost tours in the area. 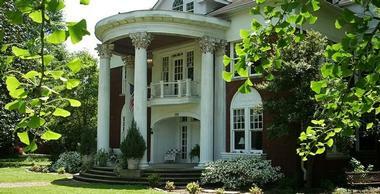 Meadowview Farm offers a truly unique bed and breakfast experience. Guests can choose from four guest rooms, each with a different theme and inspired by the world travels of the owners. A daily full breakfast is included with the price of each room. The inn is located on a Southern farm with horses, goats, a duck pond, and beautiful butterfly and herb gardens surrounding the house. Quiet seclusion is the name of the game at this country property. Guests who crave more excitement can make the short 30-minute trip to Memphis or Tunica for shopping, dining, and entertainment. More vacation ideas: Charleston, Fort Worth, Charlotte and Philadelphia, Taos and Kansas City. Willowdale is a 33-acre working farm located just a few miles from historic Oxford, Mississippi. Willowdale prides itself on offering a quiet retreat from the stresses of day-to-day life. Guests can enjoy a simpler way of living with fresh, organically grown vegetables, fresh chicken eggs, and live goats on the property. Willowdale is also home to the Barn Loft Bed and Breakfast, housed in the upstairs loft of a large barn. The Barn Loft is furnished with gorgeous furniture hand-made by Willowdale owner Robert Wilson. Guests can also tour Robert’s woodworking workshop on the grounds. Tunica, Mississippi is home to great shopping, museums, casinos, live blues music, hunting, and fishing, and The Columns of Tunica is a beautiful, relaxing retreat in the midst of the city. The Columns is housed in a carefully renovated turn of the century mansion, and it features four individually themed guest rooms with private baths. There is a gourmet breakfast or brunch for guests or locals alike, and a special romantic dinner for two upon request. The Columns is also a perfect destination for weddings, receptions, and catered parties. Let the helpful staff make your vacation or event unforgettable. 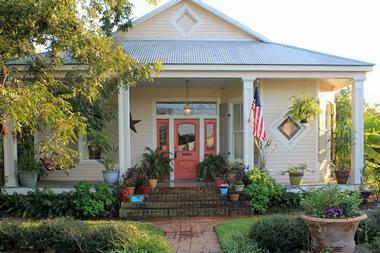 Located by the Gulf of Mexico, the Carroll House Bed and Breakfast is the place to be for a relaxing ocean-side retreat. Choose from one of three spacious guest rooms with private bath or a private cottage located on the grounds. Visitors can enjoy a cup of coffee on the porch and a gourmet breakfast each morning before taking a stroll along the beautiful beaches of the Gulf in Bay St. Louis, Mississippi. Bay St. Louis is also home to cafes and coffee shops, boutique shopping, art galleries, and live music and festivals. And if that’s not enough, New Orleans is only a 45-minute drive away. 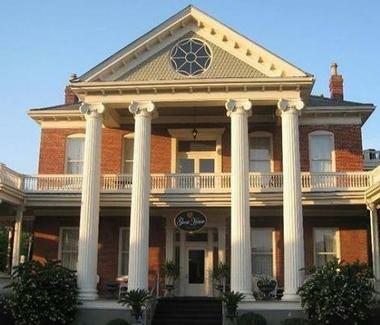 The Eola Hotel is a historic hotel with modern touches located in downtown Natchez. The hotel is made up of sixteen elegantly appointed rooms, each named for a prominent citizen or family in Natchez history. A Southern breakfast and complimentary wine in the evening are included in the price of each room. The hotel provides easy access to the sights, sounds, and activities of Natchez, the first capital of the state of Mississippi. Visitors can take a tour of the dozens of antebellum mansions in the city, enjoy live music and theater, or take a carriage ride through the city. Not much has changed at Cedar Grove since it was constructed in the early 1800’s. The property was once a 900-acre plantation, and it still contains a working cattle farm. There are also over a mile of walking trails, six fishing ponds, and historic buildings, including a sewing room, ironing room, and infirmary. Guests of the plantation will also enjoy modern conveniences such as rooms with private baths, Wi-Fi, and an outdoor swimming pool. Complimentary wine is served upon arrival, and guests enjoy a delicious hot breakfast each morning. History and luxury come alive at the Wilkins Town House. The history of the property can be traced all the way back to 1796, and the home is on the National Register of Historic Places. Two suites decorated in period style, a spacious dining room, and a beautiful courtyard make up the property. 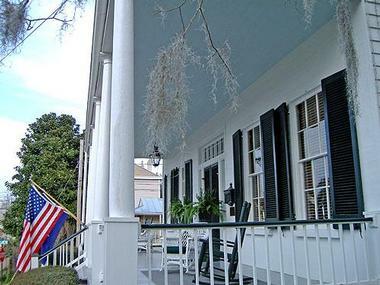 Rates include a full breakfast each morning, and there are nine restaurants within three blocks of the town house, including King’s Tavern, which is the oldest building in Natchez. Two 18-hole golf courses and a walking path overlooking the Mississippi River are also nearby. 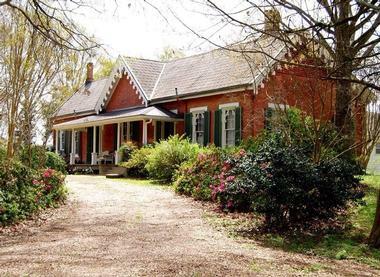 Starling’s Rest is a Southern bed and breakfast with something more. Spacious rooms with comfortable beds and private baths, a parlor, a sunroom, and wide outdoor porches provide classic southern comfort. Room rates include a complimentary breakfast, robes, and in-room snacks. Starling’s Rest also offers modern touches such as super-fast Internet connections, off-street parking, a swimming pool, and bicycles guests can borrow. Located in the Clifton Heights District of Natchez, the Mississippi River is just one block away. Walking and horse-drawn carriage tours of downtown Natchez are also close by. Greenlea is a private retreat located just two blocks from the Mississippi River bluffs. Greenlea is housed in a Greek Revival antebellum home and contains only one guest suite, which looks out over the gardens and courtyard. The suite contains a comfortable bed, a fold-down murphy bed, a small kitchenette, and a refrigerator stocked with complimentary beverages. A wall surrounds Greenlea, ensuring privacy even with its location in the city. A light breakfast of muffins, fruit, and yogurt is available on the property. In addition, each guest receives a voucher for a full breakfast at the nearby Castle Restaurant. Surrounded by 200-year-old magnolia trees and filled with fresh flowers, Magnolia Cottage lives up to its name. The cottage’s one large guest room has a sitting area, fireplace, and a four-poster bed. Guests are provided with complimentary tea and coffee, and they can savor a hot Southern breakfast in the dining room or in the comfort of their room in the morning. There is even a working dairy in the basement of the cottage. The staff is always ready to serve and to help guests get the most out of their trip to Natchez. Ask about their specials, including romance, girlfriends’ weekend, and hunters’ packages.